LTD. 12" ALBUM SAMPLER / 180g VINYL / SEALED ARTWORK EDITION !!! - RTRN II JUNGLE, the forthcoming album from UK DnB heavyweight trio, Chase and Status, is a cultural movement - inspired by British music and fashion of the golden years of Jungle music from the mid-late 90's. 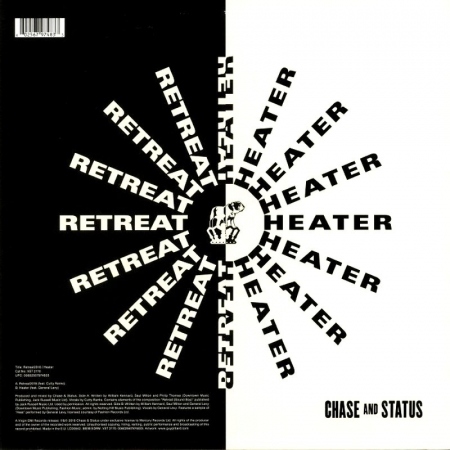 The two opening singles speak volumes on the project's ethos - with the hard hitting 'Retreat' ft. Cutty Ranks echoing in your ears long after hearing and the euphoric 'Heater' taking on the role of a single that already has the makings of a classic - with additional vocal support from General Levy. The news comes with a brand new documentary from the trio, filmed in Jamaica earlier this year, which has just been premiered by Redbull.